The Rotunda. All photos courtesy of The Pierre. 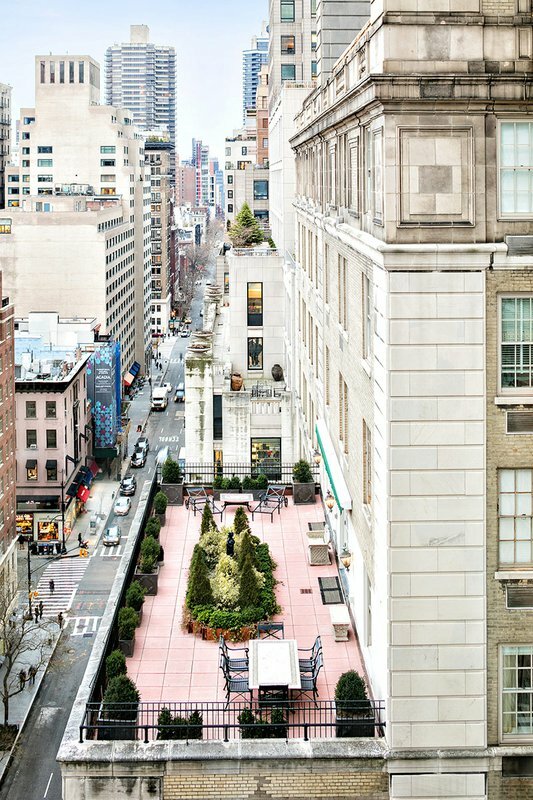 NEW YORK – It becomes abundantly clear the moment you pull up to the gilded, Central Park-adjacent, black-and-white marble-floored entrance: The Pierre is not your modern-day, minimalist hotel. No, this place is grand and glorious and splendidly of the old world. The porters wear tails and top hats. The elevators come with lift attendants. The suites are some of the city’s most spacious. 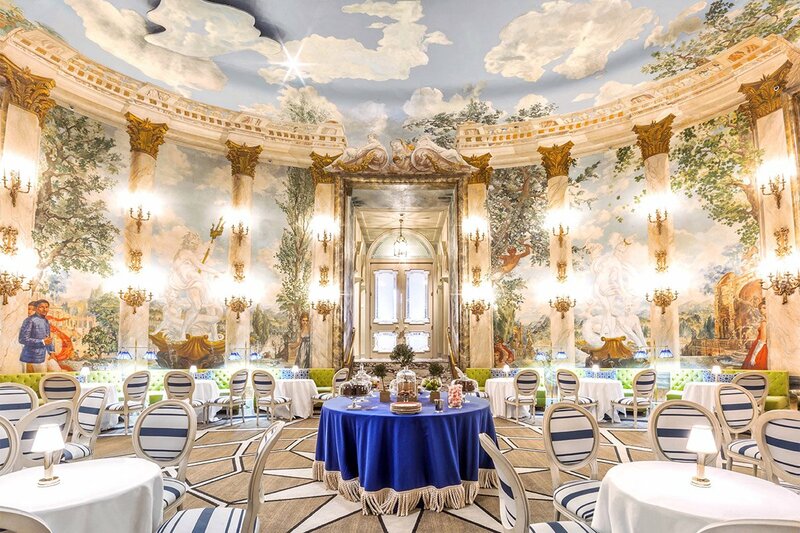 And the hotel’s signature room, the trompe l’oeil-painted Rotunda, is one helluva place for a drink. 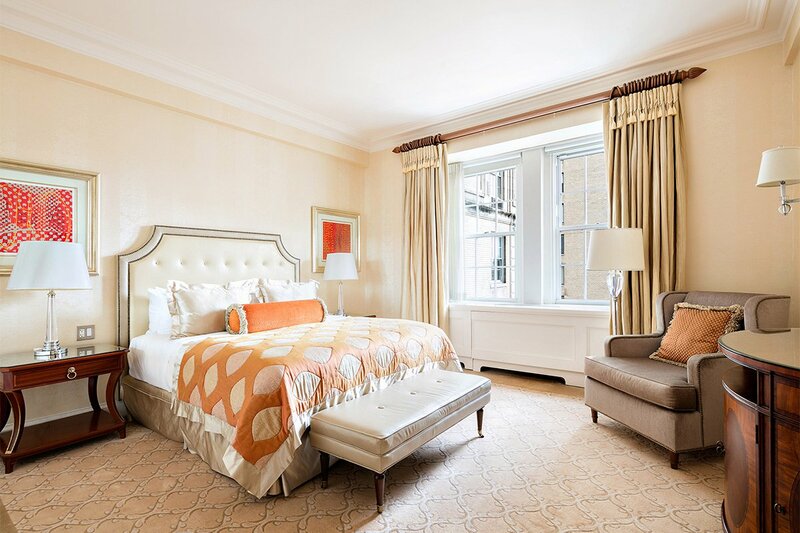 Come for the romance, stay and fall in love with an iconic Fifth Avenue gem. The entrance on 61st Street. 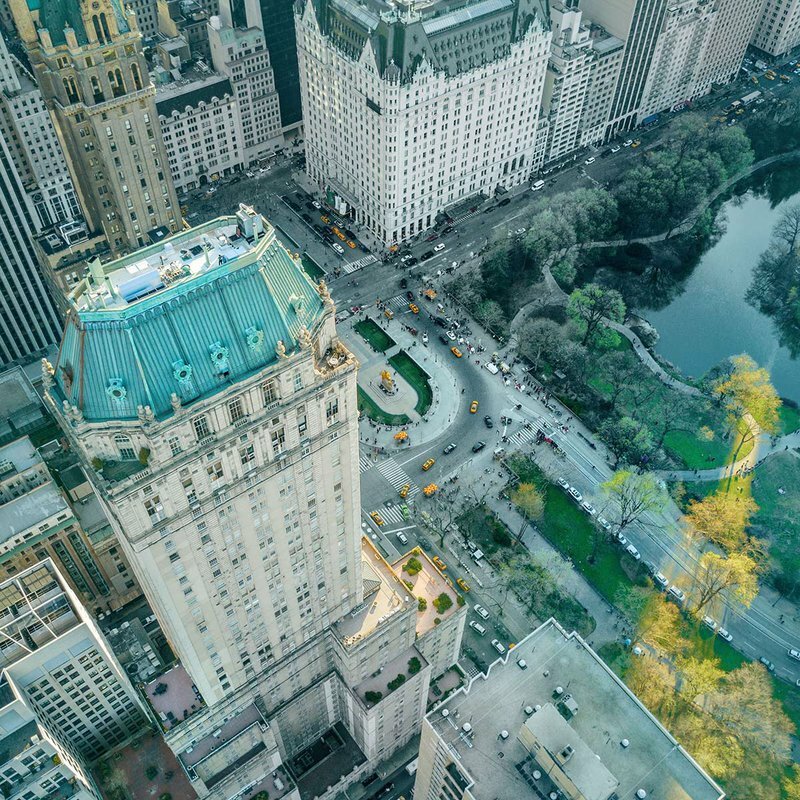 An aerial view of the hotel next to Central Park. Rates changes seasonally and typically start at $465 per night. Click here for reservations. Or get in touch with the Fathom Travel Concierge and we can plan your trip for you. Style: Grand hotel dotted with fresh flowers where the Clefs d’Or concierge caters to your every whim. Standout Detail: The curved walls of the Rotunda, which are covered in colorful trompe l'oeil murals by artist Edward Melcarth. Get a drink or have supper. At the very least, pop in for a look. This Place Is Perfect For: Bourgeois bon vivants, big family gatherings, and honeymooners or couples celebrating something special. Rooms: 140 guest rooms and 49 suites offer accommodations for groups of all sizes — some suites have up to six bedrooms and spacious landscaped terraces. 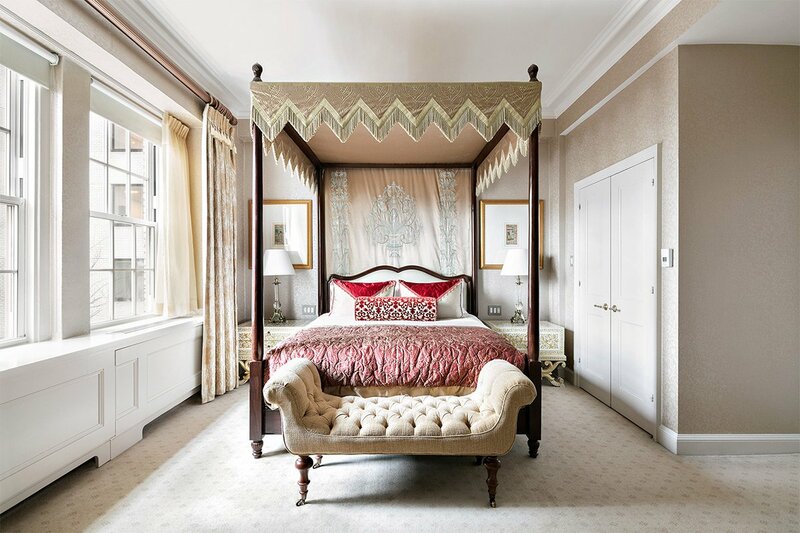 All recall spacious Upper East Side apartments with traditional furnishings, plush bedding, the occasional piece of Indian ephemera, and Turkish marble-clad bathrooms. Comfy robes and slippers, Etro bath products, and optional in-room spa services make it hard to leave the room. 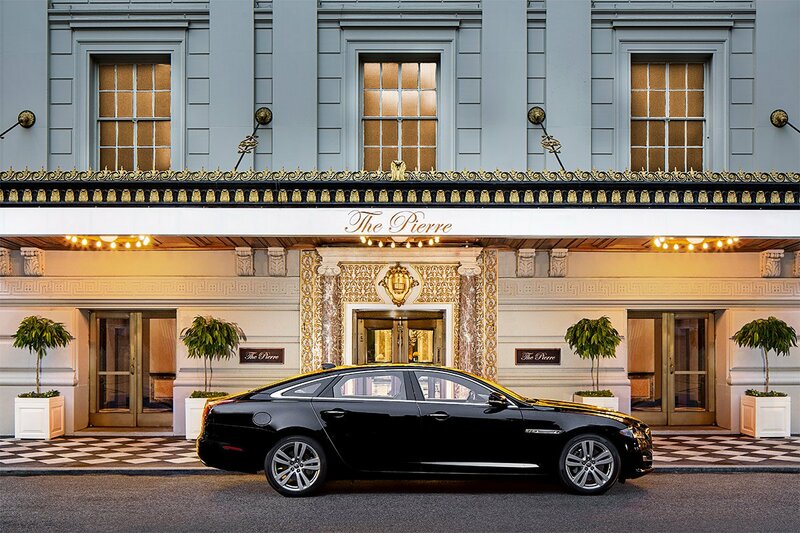 On Site: Chauffeured Jaguar for local transportation, 24-hour lift attendants (like in the movies), a Clefs d’Or concierge, a 24-hour fitness center, and an on-call doctor and nurse. Food + Drink: Perrine serves seasonal French-American fare to a locals-heavy crowd and is dog-friendly in warmer months, when the street-facing Rosé Terrace is open. The Rotunda does classic cocktails and small plates in a stunning setting for lunch or supper. Neoclassical Two E Bar entertains around the clock with a popular afternoon tea and live evening jazz on weekends. 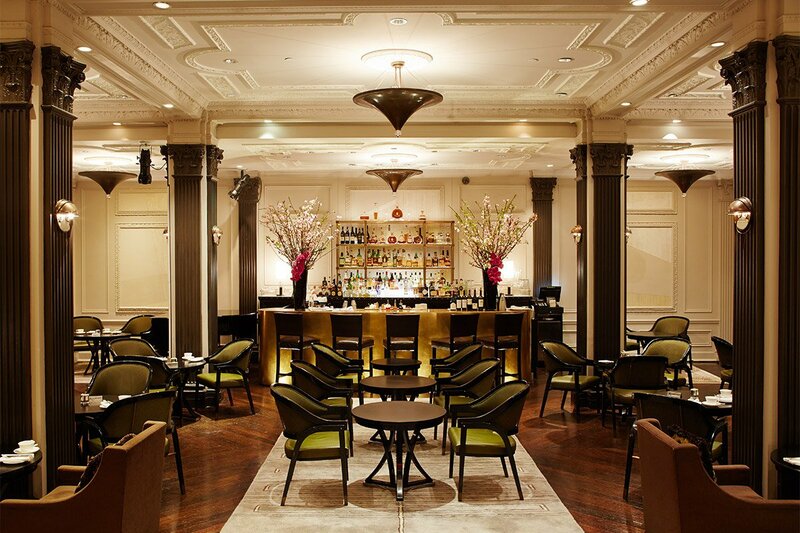 - The best bars, restaurants, hotels, shops, and sites in NYC. A city view suite bedroom. 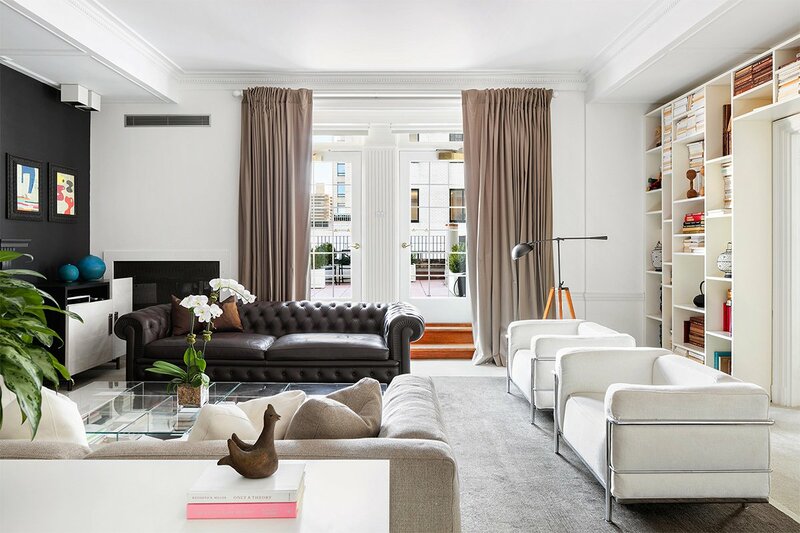 A Charles Pierre suite living room. 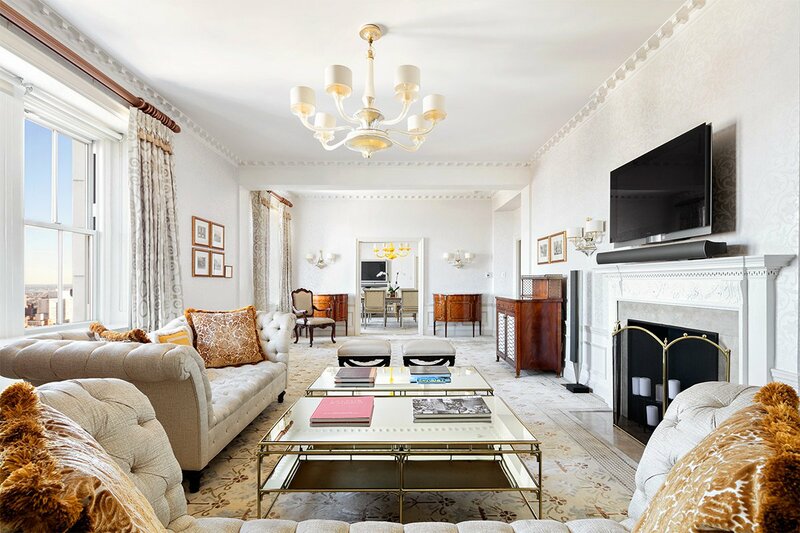 Situated on a prime piece of Lenox Hill real estate, The Pierre is in close proximity to the some of New York City’s biggest hits. Walk out on Fifth Avenue and find luxury shopping to your left (Tiffany & Co., Bergdorf Goodman) and Museum Mile (The Met, Guggenheim) to your right. Straight ahead is Central Park and, beyond that, Lincoln Center on the west side. For a special evening, head to Daniel for a perfect dinner, and settle in at the legendary Bemelmans Bar for a nightcap and live piano.